Boston Marathon Runner’s Passport arrived on Friday. I finished my longest training run. Highest mileage week is in the books. I’ll be hanging out in pigeon pose for the next three weeks. ⇓Selfie I sent Marta and Ellen. This morning Ellen, Amelie, and I ran 22 miles through Venice, Brentwood, Palisades, and Santa Monica. 1000+ feet of climbing. Worth it for this view. When we were powering up our last hill we ran into Marta. Thank you for entertaining us for the final 4 miles. I was definitely ready to call it a day by that point. My legs were tired going into this run after running two tough workouts this week and lots of easy mileage. Wednesday I ran my Yasso 800s. The plan was to run the 800s at about 3 minutes, but I did the workout on the treadmill and running at a 10.0 on the treadmill made me feel like I was going to fly off, so I stuck to more like a 9.8. I felt great throughout the workout, so didn’t really worry about running the repeats a little slower. I’d rather not end up missing Boston because I flew off a treadmill trying to hit 3 minute 800s. Friday I ran on the treadmill again. This time I ran a ten tempo. I was really happy with this run. It felt hard, but not awful. I was able to pick up the pace in the last two miles. I think it was the beet shot I took 30 minutes before the run. In my school life, check out our cuties learning to tell time in the after-school program. 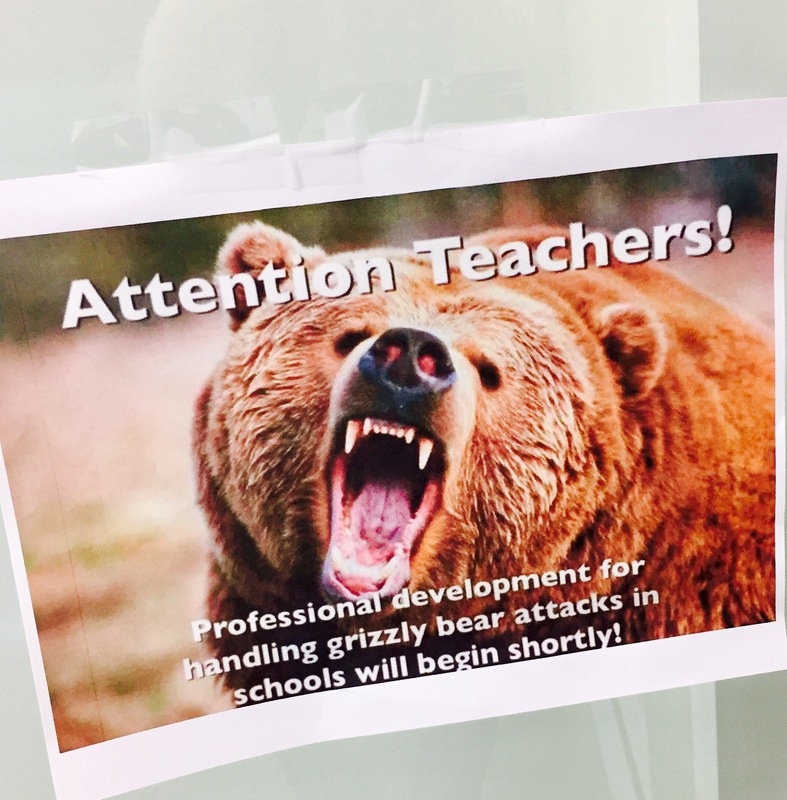 It was also Parent Conference week. Our parents are amazing. Check out Erica’s attendance sheet. 100%! We always have a potluck on Parent Conference day. Gabby outdid herself. We’re the Unicorn and Fairy School. And our Star Scholars for the week. I love love love our kiddos! In not so Unicorn and Fairy news, we’ve been dealing with protests in response to our Prop 39 placement at Magnolia Elementary for next year. We’ve had three protests outside our school. Check out the coverage here and here. Oh the joy of founding a school. I understand the frustration, but I’m not trying to do anything controversial. I just want to build my little school and need temporary space until our facility is ready in Fall of 2018. And in my fueling life, lately Brent and I have been loving Hello Fresh. I promise I’m not being told to tell you this, but I’m a huge fan. I love to cook. I used to think these services were fake cooking, but it’s cooking for the person who doesn’t want to deal with the meal prep research and shopping, which takes SO much time! This week Brent made Thai Rice Noodles, and I made Steak Arugula Salad and Pineapple Chicken Tacos. Shameless plug for $40 off if you want to try. Use this code. Friday’s weather was awful. It was wet, classrooms were leaking, walkways were flooded, and our scholars were soaked. I love the rain, but our school (and our city) isn’t equipped to deal with it. Such heavy rain felt fitting on Inauguration Day. I didn’t watch any new coverage. After work I went on an easy ten mile run then went to dinner with Brent. Saturday was another story. It was crystal clear and the distant mountains were snow capped. Today we’re back to some of the strongest rain we’ve seen in Southern California in years. It’s as if California wanted to make sure we were able to march. Saturday evening I was challenged with the question of why I was marching. I froze and became overwhelmed with emotion. I didn’t know how to easily express why I went out there. What was so beautiful about Saturday was the peaceful and positive energy. Everyone had their unique reason for marching. Today I’ve taken the time to process and express exactly why I marched. I marched because I have three powerful sisters who are the hardest working and most inspirational women I know. I marched because Mama taught us to be tough and Papa always called himself feminist. He hated it when people asked him if he wished he had a son. 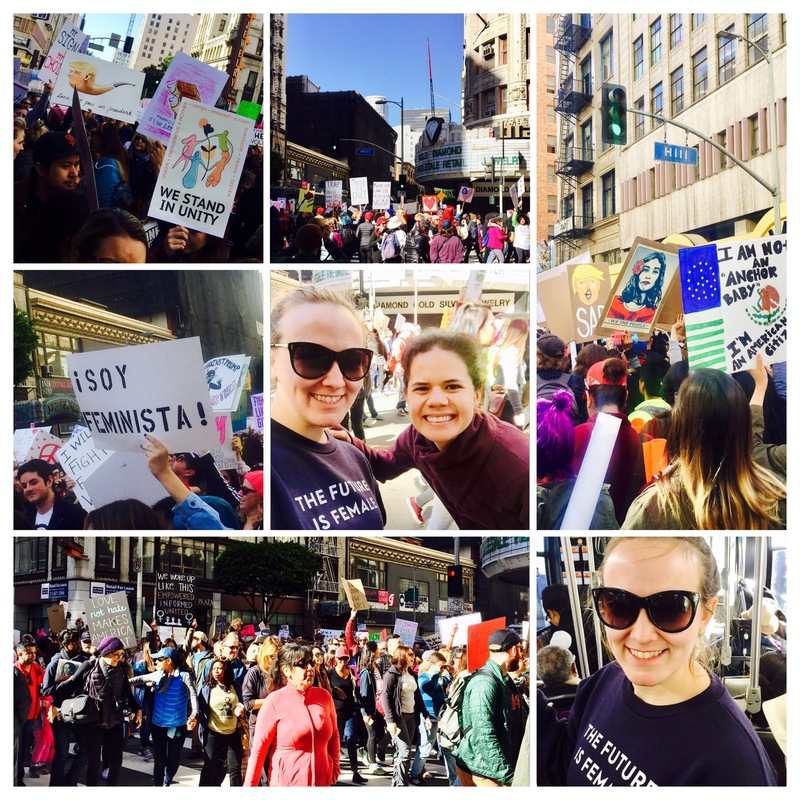 I marched because I am disgusted by the way Donald Trump talks about women. This isn’t normal “guy talk”. It’s not the way all men talk with their friends. I marched because I’m not convinced our “leader” thinks of women as more than arm candy. I feel he pities “ugly” women. I marched because our girls at Equitas Academy #3 need to know they are loved, valued, and important. Saturday was the start of a movement. 750,000 showed up here in LA, and the protest spread around the world. I am so inspired.